Road rage, according to the NHTSA, is responsible for killing motorists and passengers in all 50 states of the United States, and often for seemingly trivial reasons. What causes road rage? Should we be able to see it coming? And how can we protect ourselves and our children from road rage when it seems to come from out of nowhere for no good reason? Kars4Kids took these questions and more to experts in a variety of fields in an attempt to get to the bottom of the issue. The experts, in turn, not only offered their professional experience and insight, but had many good tips for quelling a road rage situation in the making. We hope that in learning more about the subject of road rage, we’ll be better equipped to stay safe going forward, both parents and children. We began by speaking to Brad Robinson, a former CIA operative who, along with an ex-FBI Special Agent, runs The Millennium Group, a South Florida investigations and security-consulting firm. Millennium offers personal security training to corporate clients, and free personal security presentations to schools, parenting groups, and houses of worship. One of the topics treated in these sessions is “How to Avoid/Deal with Road Rage,” a problem which, Robinson notes, appears to be on the rise. Asked what sets off road rage, Robinson acknowledges there may be a connection to PTSD, a popular legal defense in cases of road rage. “There are a lot of military and former military types in Florida and we note that, increasingly, the PTSD issue is being raised in road rage cases here,” he said, leaving the question open as to whether the connection is real or merely a plausible excuse to posit in a court of law. Elayne Savage, PhD, LMFT, who bills herself as The Queen of Rejection®, is a communication and workplace coach, speaker, practicing psychotherapist, and the author of Don’t Take It Personally! The Art of Dealing with Rejection. Dr. Savage thinks of any kind of rage, including road rage, as “anger with a history,” believing that early experiences contribute to rage, even at a much later date. Savage has coined the idea of “road rage as metaphor” pointing to all the metaphors that link to both aggressive driving behaviors and psychosocial hurts. “Do you recall all those times you were hurt by others’ insensitive behavior? The times you endured being ‘cut off,’ ‘squeezed out,’ ‘ignored,’ ‘kept waiting,’ ‘pushed around,’ ‘bumped’ or ‘edged out?’ When a similar experience is recreated in the present, that old stockpile of hurts ignites. We overreact. It’s easy to become enraged. If you are being raged at on the road, don’t bite the bait, don’t engage. A confrontation is only going to be a lose-lose situation for you. You might get hurt. The next time someone cuts you off, remind yourself there’s a difference between an aggressive driver and an inconsiderate or careless driver. Put the incident in perspective by remembering the metaphor theory. Ask yourself what old feelings this incident is recreating for you. Take a breather. Ten slow breaths can work wonders to reduce stress. Most importantly, don’t take it personally! Chances are you are the target of the other driver’s mistakes. 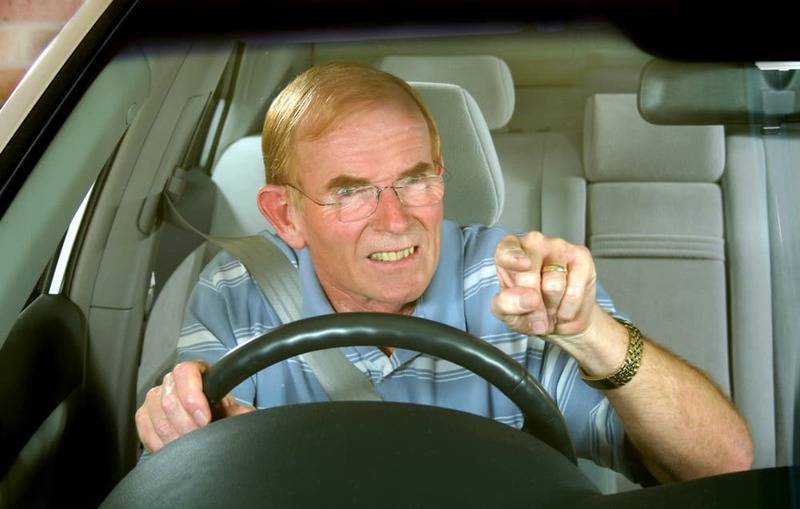 Dr. Richard Horowitz, a parenting and family coach and author of Family Centered Parenting (2011), stresses that parents confronting a possible road rage situation need to come to grips with what it is they are seeing. “[Road rage] is the response of an individual who perceives that another driver’s action diminishes his/her sense of personal power or control. When we feel a loss of personal power (loss of control) we default to anger which in the short run, despite the negative consequences, temporarily makes us feel more powerful. Individuals who are feeling less powerful or in control of their lives will more likely respond with road rage,” says Horowitz. Holding the steering wheel may also be a factor in the perception of the “road rager” as someone who believes he is the one who should be, and in fact, is in control. “Holding the wheel in a car accentuates the perception of being in control,” says Horowitz. “This notion is proven by the fact that almost all otherwise law-abiding individuals will exceed the posted speed limits. Somehow when they are driving they feel that their judgment of speed is more accurate than the legal limit. Akram Alashari, MD is a Trauma Surgeon and Surgical Intensivist in Critical Care at the University of Florida. Dr. Alashari deals with patients who are the victims of car crashes on a daily basis and road rage is not an uncommon theme in his practice. He is passionate about the need to maintain control over one’s responses not only in regard to being a victim of road rage, but in other areas he deals with in his work, for instance assault, violent crimes, conflict resolution, and suicide prevention. “Loss of control is the primary factor involved in road rage. 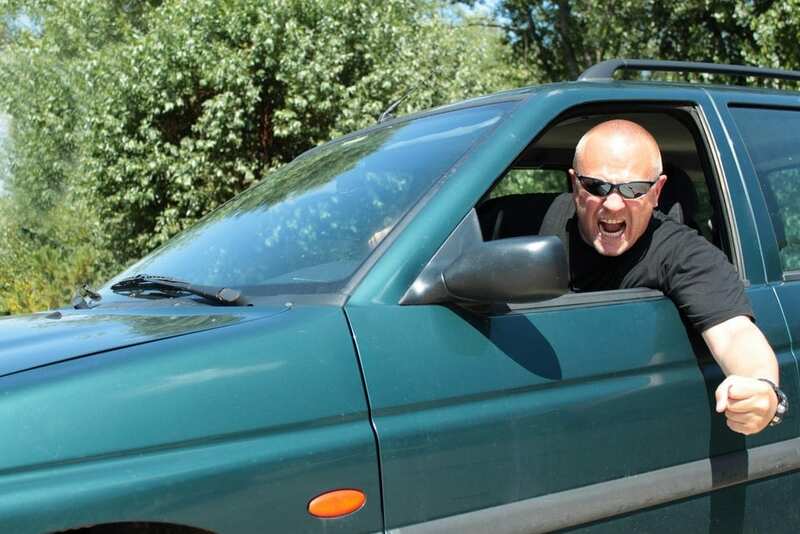 When something happens, such as someone getting cut off or hit by another vehicle, road rage occurs as a visceral reaction. Instead, this can be mitigated by the understanding that one may not be in control of the situation, but can and must be in control of his or her response to it. “When I speak to my patients about the circumstances of the crash, there is usually a lot of anger, frustration, and regret about the situation. Most of the time, they come to the conclusion that their mental well-being relies heavily on their ability to control their responses to outside stimuli. Rage doesn’t always happen to motorists, of course. Monique Prince, MSW, LCSW, clinician and parenting coach explains what happens in the brain during the rage response: “At the back of the brain, down low is the amygdala. It is the center of the fight-flight-freeze response in us. It is considered a very primitive part of the brain—the survival/emergency part of the brain. This develops from a few weeks into conception and onward. As it develops, it grows (differentiates) towards the frontal lobe (forehead area) over time. How parents handle the aftermath of the road rage experience is also important. Prince says it is important that children be allowed to speak about what happened, and that even if they repeatedly ask the same questions, bringing up the subject over the course of several weeks, parents should be prepared to listen carefully and answer patiently. When it was happening, where did you feel it in your body? Where do you feel it now? Wow! That was scary! Are you scared? I feel angry that they did that. Do you feel angry? “That is a big mistake,” says Prince. “It denies the reality of the incident. Embrace it, talk about it, talk about the feelings in the body and the emotions. This is the best way to heal from it. Whenever it comes up in the future, pay attention, tune into the child and empathize and connect with the child. And this applies to any trauma really,” she says. John Grigsby is a husband and the father of two children, a child in the fifth grade and a son, age 17. He admits that sometimes he can get aggressive when behind the wheel, for instance if he has his family in the car and a driver cuts him off. How does he handle that? “I try to retaliate in some way, and my wife quickly and loudly raises my awareness to what I’m doing. She yells at me to stop. Of course the kids are then alerted to what I’m doing and start to say things also to calm me down,” he says. What about the aftermath? “Only after we get to where we’re going do I apologize to them and say my emotions got the best of me and that I was in the wrong,” says Grigsby. What helps? “I try to consider that the other driver may be having a worse day than me. They may be late for something important, or they may have experienced some pain in their life that makes them act the way they do on the road. 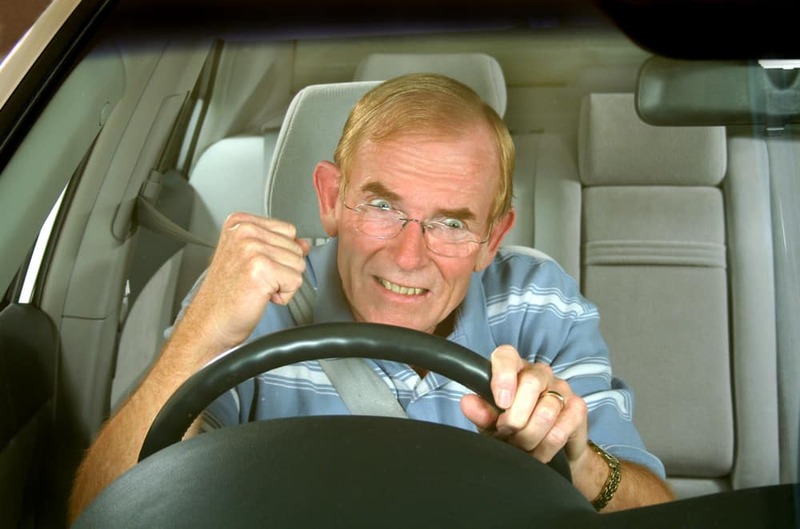 This month, Kars4Kids is running a campaign to draw attention to road rage and safe driving. Check out our Beep-Off App. You won’t want to leave home without it!